If TV guide can cheer and jeer, then so can we! CHEERS: ESPN at the 20-mark? Take Two and Sega recently formed a partnership lending Take Two the rights to publish and distribute all of the Sega's ESPN sports titles. That's fine and good, but what is if they were released at the startingly wonderful price of $20? Solid sports games that are online and easy on the wallet? Sign us Up!! Developers and publishers are taking a closer listen to what gamers want out of their games and it's showing. Upcoming titles such as Prince of Persia 2 and Blinx II look to be improving considerably, righting previous wrongs in the original states - all due to taking our voices, as gamers, into serious consideration. UNDECIDED: Online dating gets game. New website MMOdating.com proclaims that it's the online dating service for gamers...and while we like the idea of people of common interest getting together, we'll reserve our judgment on just how "successful" this will be. Isn't that what EverQuest is for anyway? EA is releasing a special edition version of Madden 2005 that features all the old versions of Madden, and it's only on PS2. Don't Xbox gamers deserve some of the old-skool pak-ins like our PS2 brethren? Have we been bad? Is this punishment? Is this what it feels like when doves cry? With the exception of Street Fighter Anniversary Collection, Xbox seems to have droppped off the face of Capcom's radar. 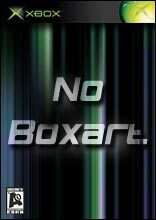 No other titles are scheduled from the publisher for Xbox in 2004. Sob. Are your racing games getting dusty on the shelves? Getting tired of simulators with more menus than mile per hour? If the answer is yes, then take a look at racing action at its finest in Extreme 4x4..